Creates a cleaner, more comfortable living environment – Take a close look around your home. Is there dust on furniture, bedding, or flooring even though you clean on a regular basis? This is all because of dust circulating throughout your living space. Why continue to clean when you can’t really notice the results? Professional duct cleaning helps you maintain a hygienic home. Reduces allergens and irritants – This can be a challenging time of year for those with allergies. Most homeowners don’t realize that air ducts frequently contain pet dander, bacteria, pollen, mildew, and mold spores. Unfortunately, these toxins can make it miserable to be at home. 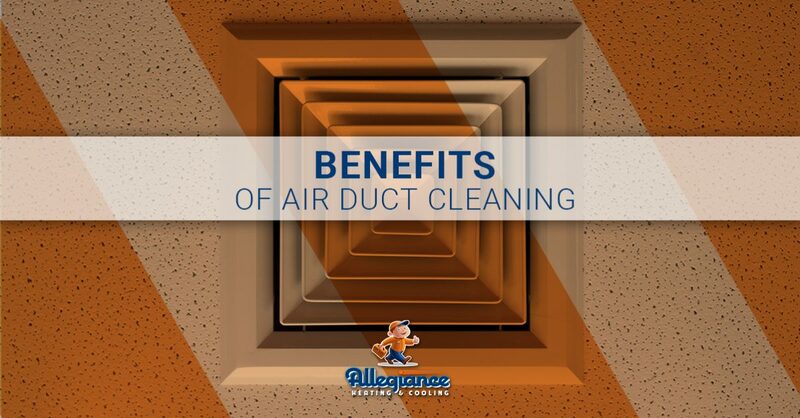 Simply put, the occasional duct cleaning promotes overall healthier living. Why allow that dirty air to keep recirculating over and over? Helps your family breathe easier – Maybe no one in your household suffers from seasonal allergies. Even if that’s the case, dust and pollutants can cause everything from sneezing and coughing to bronchial congestion. Our local HVAC contractors believe that you and your family deserve to breathe clean air, especially in your own home. By choosing professional air duct cleaning, you’re essentially investing in home comfort. Removes unpleasant odors – Here’s something we bet you didn’t know: pets, paint fumes, mold, tobacco use, and food preparation all contribute to gross smells in the air ducts. Not to mention, every time you turn on the heat or air conditioning, those odors flow through the house. Plus, an accumulation of dirt and dust can lead to a musty scent. Rather than temporarily mask the odors with air fresheners, why not get in touch with a dependable HVAC repair team? Improves airflow – The longer you put off cleaning your ducts, the heavier the buildup of dust and grime. What this means is that your system is forced to work harder to heat or cool your home, resulting in a decreased level of efficiency. If you want to get the most cost-effective performance for your HVAC system, then professional duct cleaning is a must. Now that spring is here, it’s time to start thinking about your air conditioner. Allegiance Heating & Cooling is proud to be Mokena’s choice for AC repair. For nearly two decades, residents have relied on us for the most cost-effective HVAC solutions. Our HVAC contractors do it all, from air duct cleaning and heating repair to generator repair and emergency service. Contact us today to get a quote.